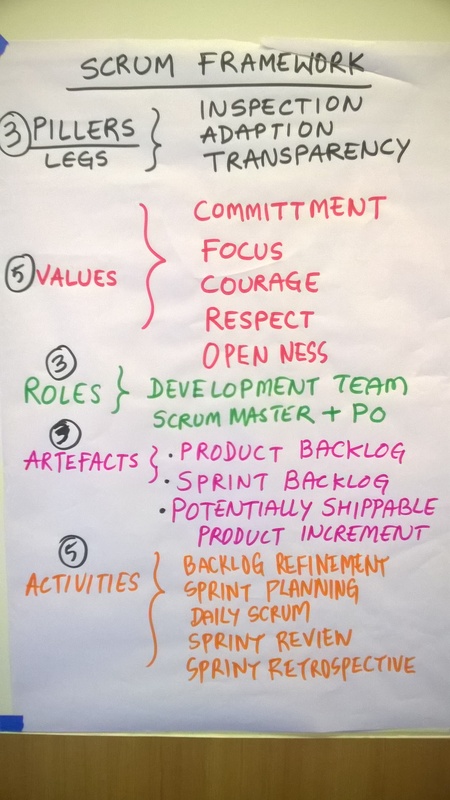 If you are a person, who believes in challenging status quo, trust in continuous improvement and you believe that you can make the difference at the workplace as a change agent by learning in depth SCRUM? Then this workshop is JUST FOR YOU. We believe “Change Agents” who aspire to create create an awesome working ecosystem, people who are looking to transform and adapt scrum to build winning teams & products, can make the best use of this workshop. Visit website : http://12principles.in for details. Over 14 years of service in IT industry, Naveen have gained experience in most of the standard roles of software development lifecycle such as developer, tester, leader, manager of projects and products. Following his passion for coaching, he has spent 6 years coaching agile transformation, scrum teams, trained over 1200 people from various organizations. He is well known for agile metaphors and has been a speaker in more than 10 conferences. His expertise is in agile leadership, large scale agile transformation, scrum framework and coaching. He has been accredited as Certified Scrum Trainer (CST), Project Management Professional (PMP), Certified Product Manager (CPM) showcasing his vast knowledge and experience. He holds Masters Degree in physics, and bachelors of engineering degree in Electronics and Communication. Naveen breathes agile. He made me be aware of what is right on agile and scrum by clarifying myths around it. The delta learning technique, the metaphors he used during the training are unique and powerful in making/transforming me as a real change agent at my organisation. I strongly recommend Naveen Nanjundappa, I feel blessed to attend CSM workshop by Naveen. I was coached at my company by different coachs and trainers but Naveen's session is unique, engaging, innovative and made a deep impact on all participants. I can certainly say, he has the depth of knowledge. Naveen Nanjundappa is excellent on the topic, his understanding is clear and descriptive. He is ready with answer to all the questions during the discussion. We certainly recommend Naveen Nanjundappa and his CSM workshop for full team so that they can accept the change. Naveen is very good in describing the principles and concepts. Really a "Brain Washer"
Naveen's session was interactive, cleared all myths and gave new perspective and was thought provoking workshop. The training, ambience and the level of engagement was too good. I certainly recommend Naveen and this workshop for others so that they can reap the denefits that I have taken from this training. This workshop was good, interactive, practical, activity based and knowledgeable. Lot of agile metaphors and real time examples. Naveen is good at answering all the questions we had during the workshop, but at times people asked redundentquestions that could be avoided. Overall I recommend Naveen as trainer for this workshop and other training needs. Naveen Nanjundappa is excellent, very practical, simple and focused. 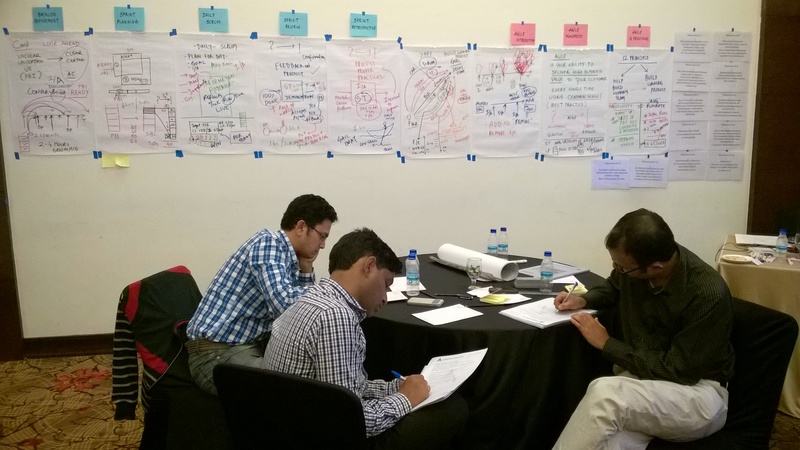 Workshop demonstrates very clearly the agile aspects, principles and their core meaning. we can take back lot of learning from this session and start implementing in possible scenarios at our office and personal life. I would strongly recommend this workshop for becoming the change agents in professional and personal lifes. This workshop was very engaging, lot of real life agile metaphors helped me understand the concepts, I would recommend Naveen Nanjundappa, because learning basics of agile and scrum from him would be very easy. He answered all complex questions in a simple way. Naveen Nanjundappa - I appreciate his visualizing ability. He is very passionate to be agile. CSM workshop will helps others to unlearn and relearn agile and scrum. I recommend this workshop and Naveen as this will definitely help to practice scrum and be agile in day to day activities. Naveen Nanjundappa is well planned, session was very interactive with lot of activities to experience the roles of scrum, building winning teams. He didn't miss a single topic that was mentioned. Very useful for beginners too. The contents of Certified Scrum Master (CSM) Workshop is as per the CSM Content Outline and Learning Objectives published by the Scrum Alliance. In depth knowledge on Scrum framework. Two days completely packed with activities, discussions, videos and games. Workshop based on absolutely NO boring presentation slide. Zero Slides for two days does that sound exciting ?